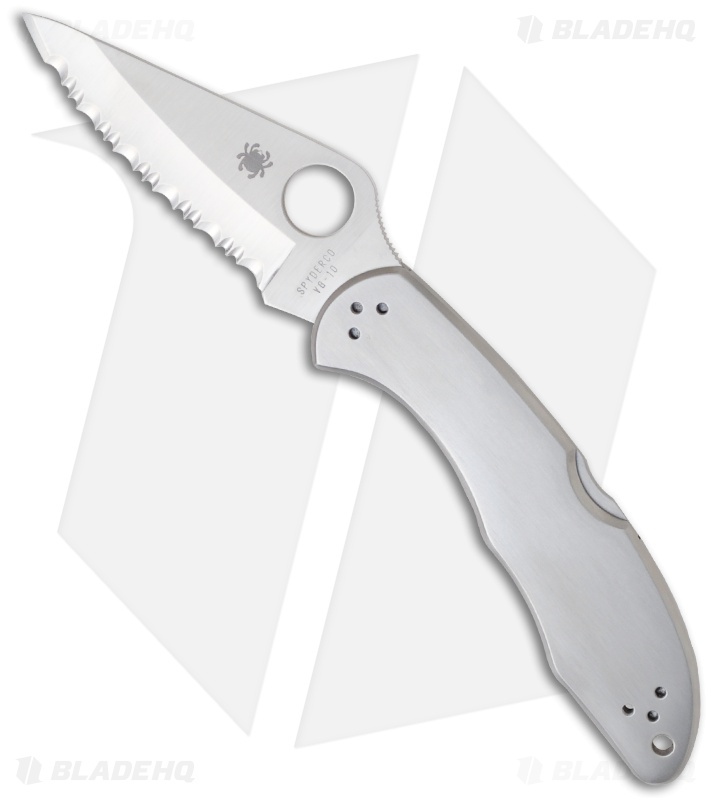 This Spyderco Delica 4 knife has a hollow-ground VG-10 stainless steel blade that is satin finished with a fully serrated edge. The handle is stainless steel. The blade on the Delica is premium VG-10 stainless steel from Seki-City Japan and features spine jimping that extends from the ramp to the top of the handle. 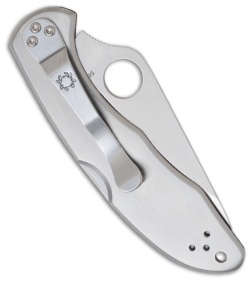 The Spyderco original thumb hole on the blade allows ambidextrous one-hand opening for right or left handers and the phosphor bronze washers at the pivot make the blade action smooth. 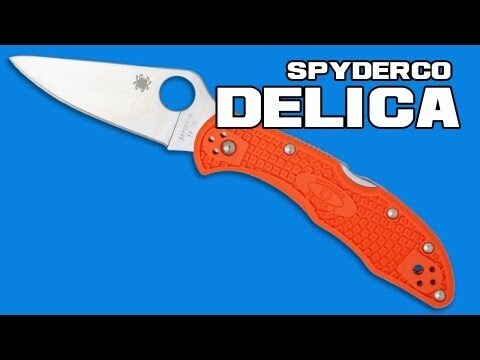 This Delica a little more heft with the stainless steel handle. Solid lockup with the back lock mechanism. The handle features screw construction for quick, simple cleaning and adjustment. The pocket clip is 4-way reversible for tip-up/down and left/right carry. I’ve be fortunate to have carried and used this Delica 4 on duty, in town, around the house and even when traveling. 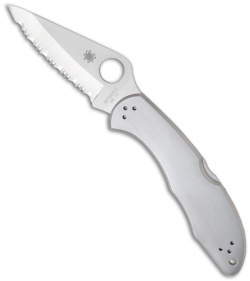 With a sub-3” blade and slim profile it is welcome almost everywhere you would possibly go. The fully serrated VG-10 blade is great, it slices nicely and retains an edge surprisingly well. 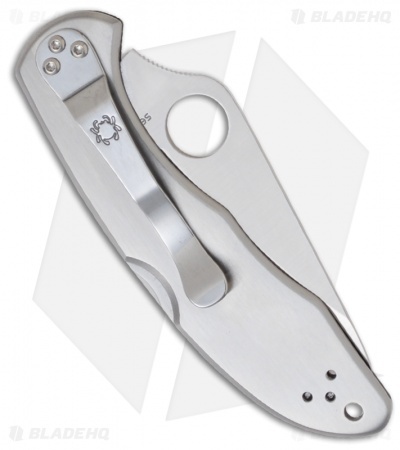 This is an amazing edc item, whether pairing it with a larger blade, multi tool, or even on its own, this thing performs well above its size.